The ancient land of Georgia, one of the earliest Christian nations and a former part of the Ottoman and Persian Empires, sits at the cross-roads of Europe, Asia and the Middle East. Bordered by the Black Sea to the west, Azerbaijan to the east, Turkey and Armenia to the south, and the white peaks of the Caucasus mountains to the north, with the Russian steppes beyond, the country was for centuries a vital link in the Silk Road through which the traffic of the classical and medieval worlds ran. Today Georgia remains open to the world. After the turbulence of the 20th century, when the country briefly achieved independence from the old Russian Empire before being incorporated into the Soviet Union, the republic has achieved political and economic stability after becoming one of the first nations to leave the disintegrating USSR in the early 1990s. Georgia is tightly woven into the international community, recognised for its free and fair elections and rapid economic growth. And 10 years after the brief conflict between Georgia and Russia over the disputed territories of Abkazia and South Ossetia, the two countries continue to evolve ever closer economic ties. Georgia is at the heart of the Transcaucasian region that reaches from the shores of the Black Sea to the Caspian, rich in hydrocarbons from the Eocene, Cretaceous, Miocene and Oligocene eras. Azerbaijan became one of the world’s first major oil and gas producers during the 19th century, and by the beginning of the 20th the world’s longest pipeline had been laid to transport hydrocarbons nearly 900 kilometres from Baku to the Georgian port of Batumi. As oil and gas flowed from the region through the 20th century the full extent of Georgia’s resources became clear. As of January 2016 the country had an estimated 2.16 million metric tons of proven oil reserves (category 1P) and natural gas reserves of around 1.9 billion cubic metres (category 1P). Estimates suggest that only some 25% of Georgia’s energy potential has been realised. Georgia and her neighbours continue to develop an extensive hydrocarbon and energy infrastructure to transport oil and gas to international markets. A complex of major pipelines run through the Transcaucasus, such as the Baku-Tbilisi-Ceyhan Pipeline, moving Azeri crude to the Turkish Mediterranean and the Black Sea, and the South Caucasus Pipeline, carrying gas from Azerbaijan to Turkey. The Georgian ports of Supsa and Poti by the Black Sea support major export terminals. Operations using the full range of modern exploration and production technologies, including 3D seismic, stimulation and directional and horizontal drilling, are facilitated by a regulatory environment ensuring a liberalised energy market and stable framework for Production Sharing Contracts. Georgia’s production capacity and hydrocarbons infrastructure have drawn increasing interest from the world’s largest energy companies. BP has been a lead investor in the Baku-Tbilisi-Ceyhan, South Caucasus, and Baku-Supsa pipelines, and is to commit another $2 billion to the Trans-Adriatic line, the biggest evern international investment in the country. In 2017 Schlumberger acquired production and exploration blocks adjacent to Block’s West Rustavi field just south-east of Tbilisi. And in 2018 ExxonMobil signed an agreement with the Georgian government to carry out a comprehensive review of western Georgia’s hydrocarbon resource potential. Since the peaceful 2003 Rose Revolution that brought down the administration of President Eduard Shevardnadze, a veteran of the Soviet era, Georgia has become a stable liberal democracy pursuing a pro-Western foreign and economic policy. Subsequent elections to a reformed presidential and parliamentary system have been contested by centre-left and -right parties committed to a broadly similar internationalist worldview. 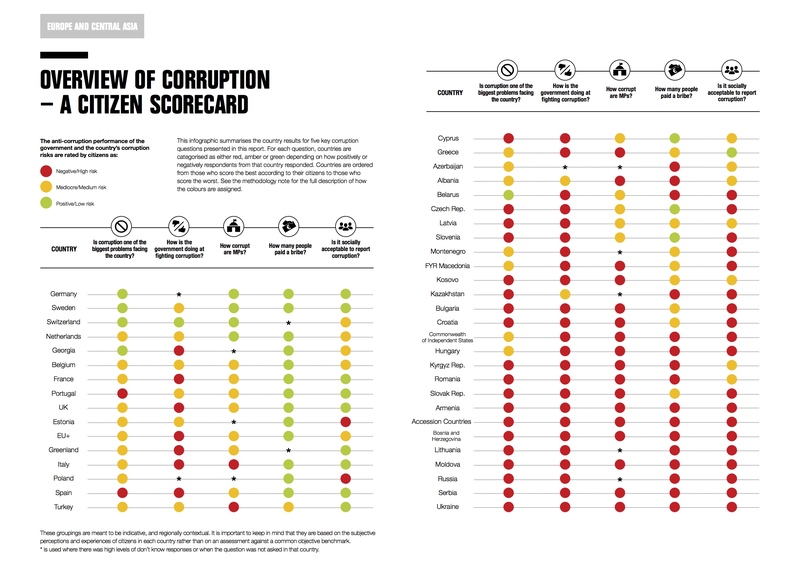 Elections have been free and fair: Transparency International rates Georgia in the top five countries in its Global Corruption Barometer, the world’s most comprehensive survey of political and economic corruption. In November 2018 Salome Zurabishivili was elected as the nation’s first female president. Zurabishivili campaigned to continue to commit Georgia to democratic development, individual freedom and the rule of law. Georgia is tightly bound into the global community through its membership of organisations and networks including the World Trade Organisation, the Asian Development Bank, the Council of Europe, the European Bank for Reconstruction and Development, and the Organisation for Security and Co-operation in Europe. The country has applied to join the European Union and is a member of the EU’s Eastern Partnership together with Armenia, Azerbaijan, Belarus, the Republic of Moldova and the Ukraine. The Partnership works to deepen and strengthen relations with the EU and its member states, securing the partners access to finance, export markets and support for new business. Georgia has also applied to join the North Atlantic Treaty Organization, which continues to reaffirm its intention to accept Georgia as a member state. The Georgian economy has become ever more closely integrated with international markets as successive administrations seek to take full advantage of the country’s strategic position between east and west. The country has signed bilateral investment treaties with more than 30 countries and has been a member of the World Bank’s International Centre for Settlement of Investment Disputes Convention since 1992. Georgia has invested in infrastructure, extending road, rail and industrial networks. And the country has pursued fiscal and monetary policies designed to maintain a pro-business economic environment. Monetary policy has focused on maintaining price stability, and fiscal policy on low interest and tax rates: Georgia’s income and corporation taxes are set at 20%. Georgia ranks ninth in the World Bank’s Doing Business league and seventh in the Fraser Institute’s Index of Economic Freedom, measured according criteria such as commitment to free trade, disciplined monetary and fiscal policy, transparency and strong regulatory and legal frameworks. The country has achieved consistently strong economic growth over the past decade, growing at an average annual rate of 5%, with the economy growing 5.7% year-on-year in the first half of 2018. The same survey also found that poverty declined from 35% in 2006 to 17.1% in 2016. 2018 marked the tenth anniversary of Georgia’s dispute with Russia over the Abkhazia and South Ossetia. Georgia’s continued claim on the regions, which have been integral to the country though its history, has overwhelming support through the international community, including the US, NATO and the EU. Since the dispute Georgia has maintained good relations with neighbouring Turkey, Armenia and Azerbaijan, and a truce with Russia. The two countries remain intimately connected economically, culturally and socially, as they have for centuries, ties that work a quiet diplomacy beyond the words exchanged by politicians. Indeed, in 2017 Russia became Georgia’s second largest trade partner, second only to Turkey, with commerce between the two countries increasing by 30%. That year more than one million Russians visited Georgia (Russian tourists do not need a visa). And in January 2018 Russia became Georgia’s largest export partner, with the volume of trade reaching $28,665 million.